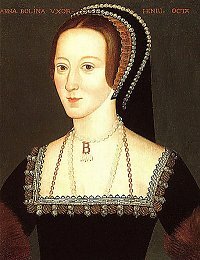 Hever Castle has had associations with numerous famous people over the centuries including William Waldorf Astor but its most notable resident was surely Anne Boleyn - second wife of King Henry VIII and mother of Queen Elizabeth I of England. Anne lived at Hever Castle as a child. Her life was to go on to reach an incredible 'high' as the most important woman in all England, only to end in terrible tragedy when she was beheaded at the Tower of London, still a young woman. It is said that her restless spirit still haunts Hever Castle and its grounds. So it is from Tudor times that Hever Castle has its most notable historical associations but it is in fact a medieval castle by definition, having been built in the 13th century. That is why we have put Hever Castle into our haunted castles section on our main website, under the category of haunted english castles in fact. If you go to the section you will see lots of other english medieval castles listed , all with their own, individual haunted castle story to tell.